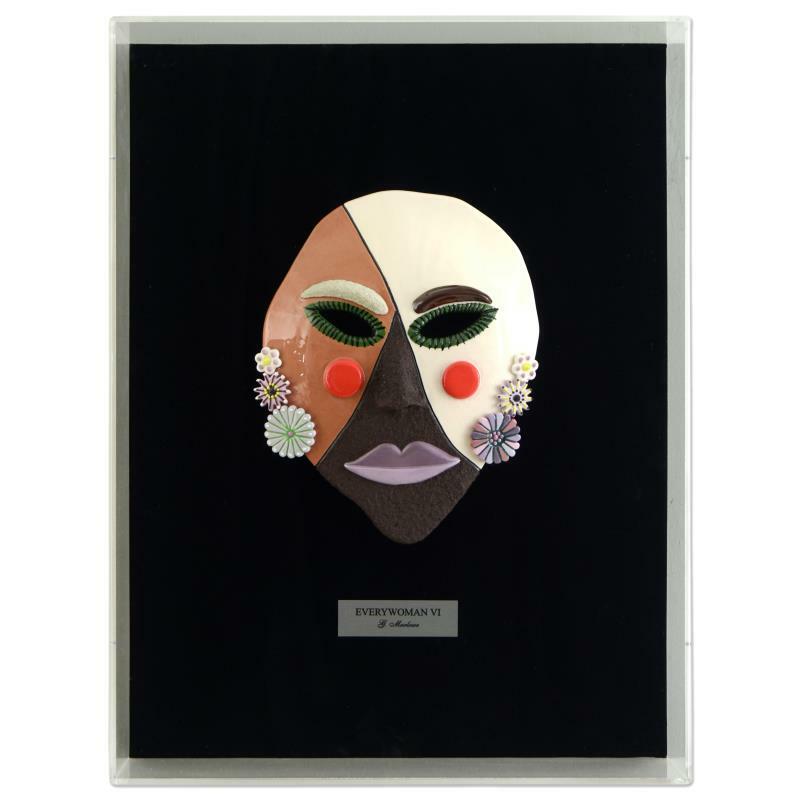 "Every Woman VI" is an original hand-made ceramic mask sculpture by George Marlowe! This piece comes suspended and encased in a custom-made Lucite display with signed metallic name plate. Includes Certificate of Authenticity. The box frame measures approx. 18.5" (width) x 24.5" (height), 5" (depth); 12lb (total weight). The mask measures approx. 9" (width) x 9" (height).